We have some exiting news for iOS 12 Cydia lovers. Within 24 hours of its release, security researchers at Pandora Labs have been able to jailbreak iOS 12, Apple’s latest mobile firmware. 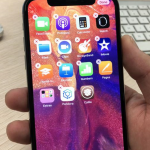 Alibaba Pandora Lab just demonstrated an untethered jailbreak for iOS 12 public version and install Cydia on iPhone X. This is the very first jailbreak compatible with latest iOS 12 public version and also it seams fully untethered. There’s a video that demonstrate this iOS 12 jailbreak on iPhone X in action. Firstly, it shows off the firmware version and then tap on the “Pandora” jailbreak app in Home screen. After few minutes, it completed the jailbreaking process with Cydia app installed. Finally, he restart the device but still it in on the jailbroken state means you no need to re-jailbreak your device after each restart. Alibaba Pandora Lab was established in 2017 and mainly focus on researches of mobile security. They already have reported number of vulnerabilities to company Apple, Google, Huawei. Currently, more than 10 security specialists are working at Pandora Lab. 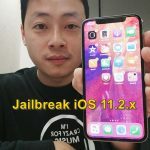 Last year, they were able to develop an untethered jailbreak for iOS 11.2 / 11.2.1. As previous, Pandora Labs will never release their new iOS 12 jailbreak for public. However, now we know Apple’s latest mobile firmware – iOS 12 pulic version is also jailbreakable. So, there ‘s a BIG chance that some hacker like Coolstar to release iOS 12 jailbreak for public. Raise your hopes up and waiting for a good news. Follow more iOS 12 jailbreak stories.. So I went to the website is this Jailbreak coming out or? What is your device iOS version, You can see many unreliable Cydia apps are ready to download for your device. We will inform you when jailbreak release for public users..
Can I download cydia in iPhone 6s Plus whit iOS 12.1.2? if I can how? cydia demo is not real cydia. what is your ios version ? Cydia application this moment unable to download for iOS 12.1.4 running devices. Please follow cyPlus with https://cydiainstaller.net/app/ . Please touch with us, We will message you all information when compatible tool release for public.